The island of Tylos in the Mediterranean belongs to the Dodecanese group and is part of Greece. In 2015, the first information appeared on the introduction of an innovative power supply system in this territory. So the Greek island set a course for "green" energy. The EU is providing financial support to the initiative, with about 11 million euros contributed. Installation of all necessary equipment on the island will cost almost 14 million euros. The work began with the installation of a hybrid station that could convert solar and wind energy into electricity. It was planned to complete the construction by the end of the spring of 2017, but the schedule of work was shifted to 2018. According to preliminary forecasts, the power plant will be able to generate 85% of the total energy consumption on the island. The area of Tylos is only 63 km2 and the population is slightly more than 400 people. Currently, the island receives electricity from a diesel station from the island of Kos. It is transmitted over a cable that is under water. But when in the tourist season the number of inhabitants of Tylos increases almost 8 times, the load on the cable increases to critical levels. Now the wind turbine installation is being completed. Its power will be 800 kW. Throughout the summer, a team of specialists conducted tests to assess the readiness of the system to work. By results of testing, it became clear that the station is in working condition and in a few months will be able to provide all residents of the island with electricity. Energy requirements will be met thanks to the batteries, the charge of which will be constantly replenished through the wind turbine and solar power plant. The uniqueness of the installed station is the use of innovative batteries. They have the ability to accumulate and conserve energy, which will be produced by the sun and wind. Thus, according to the authors of the project, it will be possible to maintain a stable electricity supply throughout the year. And right before the station starts in residential and commercial premises (in which electricity is used), special meters will be installed, capable of recording the peak load time. In May 2016, the main energy agency officially licensed the activities of the station, which is installed on the island. Until the end of 2018, the transition from a diesel power source to a new one will be fully completed. 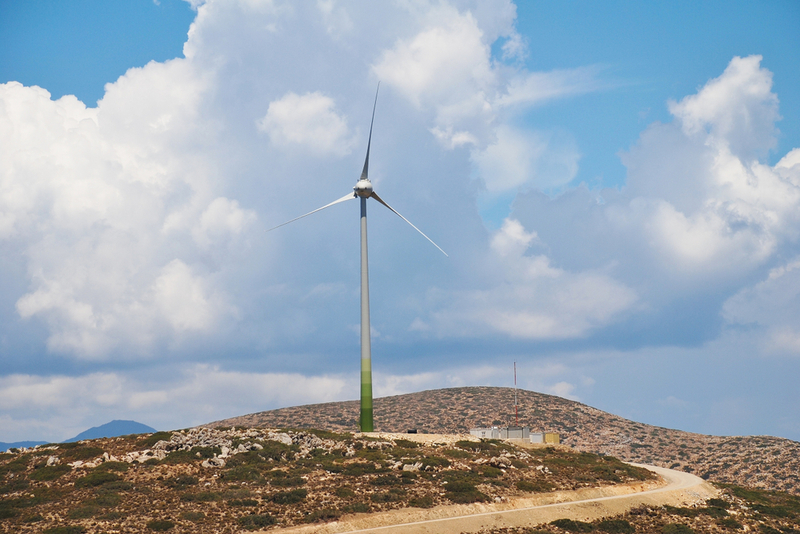 Thus, the island of Tylos will be the only one in the Mediterranean Sea that uses environmentally friendly energy. The European Union already puts Tylos as an example to other Greek islands and encourages them to also switch to continuously renewed energy sources.